I don’t know if Steve Jobs and Pedro Lourenco have been talking but what I know is that Pedro is one of the most promising talents in fashion today, of brazilian origin and with only 20 years of age he has shown this past week his second collection in Paris, strongly supported by influential journalists like Suzy Menkes and Angleo Flaccovento that were in the show, this young talent is starting his career with the right foot. 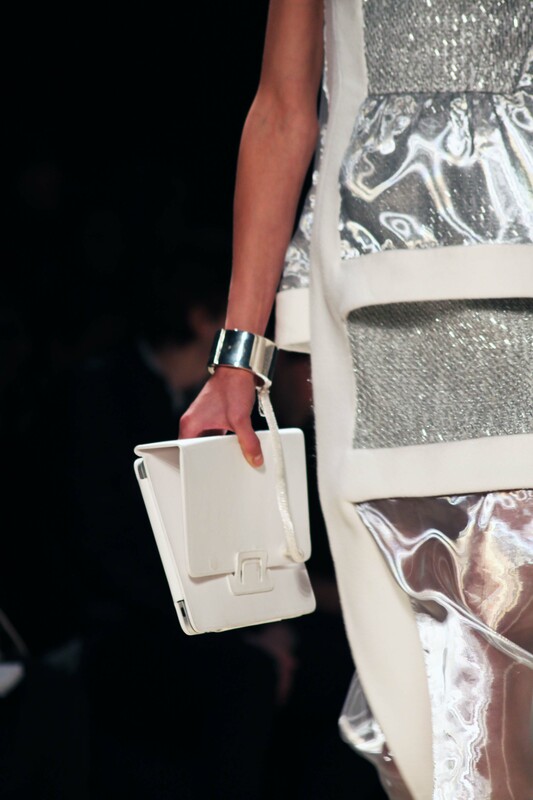 For the moment I wanted to give you a preview with this avant grade proposition of Lourenco : The daily chic IPAD bag, the only one I have seen until now in the runways and in stores, Apple must be very happy. Talk about a step into the future. 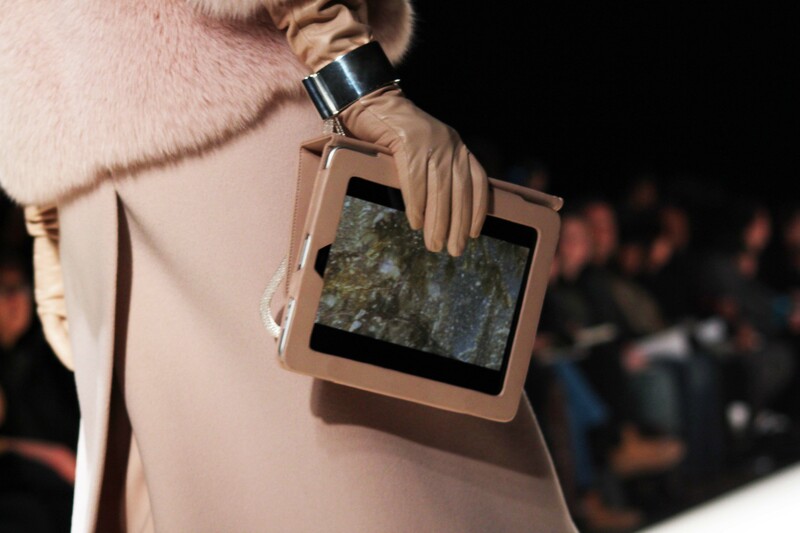 I love new talent and I really want to support them through my blog and photos, and Lourenco who’s collection I will post soon has become one of my “chou, chou” s.
Fashionable IPADS, I see a trend coming.